According to the Federal Communications Commission(FCC) definition of broadband, the average speed of all US internet connections is 4 megabits per second. Wow that is low, compared to other countries that you would never think have the fastest connection. South Korea is number one with 34.1 mbps, followed by Sweden with 22.2 mbps and Romania 20.3 mbps. Barely any computers in the United States reach the standard the FCC set as a goal to reach 50 mbps connection speed by 2015. This is disturbing to someone who thinks the connection speed is fine where it is and is really fast. Wrong, we could be number one with very fast connection speeds that could help advance communications, medical, and science fields. Since the United States is running on internet, if it is slow, then progress and advancement is slow as well. With slow connection speeds and low bandwidth, new and innovative networks cannot operate, thus leaving many jobs and opportunities unavailable. 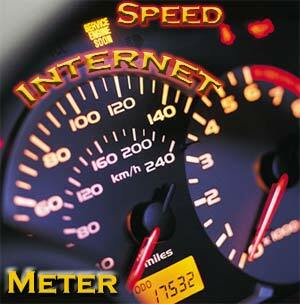 Want to determine how fast your internet speed is? Check out this site here, click on the city that is nearest you and watch the speedometer go up as it clocks how fast you connection is. Sometimes it is fast, sometimes it is slow, but overall in America 4 mbps is molasses. The solution is not yet defined, as there are so many different computers that might still be running on dial-up, it is uncertain how America will speed up its connection and join the race for the fastest, and by fastest I mean the leader of future technology.